Tag Archive | "moku ola"
On Friday, November 5, 2012, at approximately 11:20 a.m., police officers responded to Moku Ola (Coconut Island) for a reported spear fisherman in distress. Upon arrival, along with Fire Department Rescue personnel, a 77 year-old man had already been removed from the ocean and was unresponsive. The 2012 Kamehameha Festival at Moku Ola (aka Coconut Island) in Hilo presented by the Royal Order of Kamehameha I, Māmalahoa (Hilo Chapter) Saturday (June 9). A great turnout as about 200 people ran with the Big Dog at Moku Ola (Coconut Island) in Hilo Sunday morning (Jan 1). 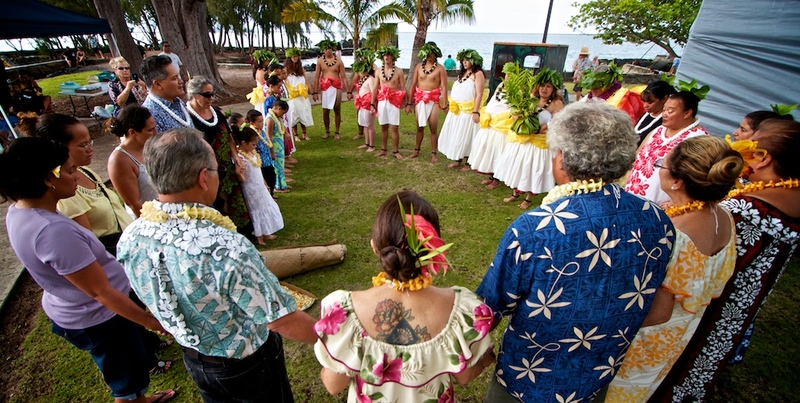 The World Peace Festival is scheduled for Saturday, October 1 from 10:00 a.m. until 3:00 p.m. at Moku Ola, also known as Coconut Island. Entertainment, a jumping castle and water slide for keiki, information booths, displays, artists, craftspeople and food booths will be featured. Photos from the Kamehameha Festival at Moku Ola Saturday (June 11). The Royal Order of Kamehameha presented hookupu and honors King Kamehameha the Great. A panoramic view of the gathering.